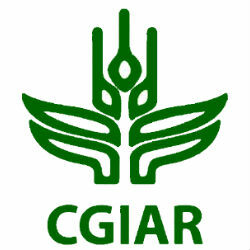 Stakeholders in the Tanzania cassava and rice production sub-sector ]officially launched the Multinational – CGIAR Support to Agricultural Research for Development of Strategic Crops in Africa (SARD-SC) project funded by the Africa Development Bank in Tanzania. The project aims to increase food security and improve the profit of smallholder farmers by improving the value chains of four important staple crops; wheat, cassava, maize and rice. Tanzania Principal Secretary Dr. Khalid S. Mohammed officially launched the agriculture project and assured support to the initiative which is on par with the governments objectives to develop the agriculture sector, one of the driving forces of the Tanzanian economy. “In Zanzibar our cassava farmers get around 2-3 tons per hectare while those of rice get around 0.8hectare. Yet, with good varieties and good farming practices, they can increase production even up to five times. We eat 60,000 ton of rice per year but we grow only 20,000 ton and therefore import 40,000, nearly two thirds of the rice we need” Dr Mohammed said. Dr Nteranya Sanginga; Director General of the International Institute of Tropical Agriculture (IITA) which is the project’s executing agency said the initiative was in line with the organisation’s research which is focussed on increasing production, improving value chains and ensuring farming is a profitable business. Tanzania’s agribusiness has long been the country’s main earner in GDP growth and income yet the sector has not experienced the same level of exuberance as other booming industries in the country, now with agricultural innovations and revised focus policies, the industry is expected to reach it’s maximum capability.